The Evansville Police Department gives some lucky children the surprise of a lifetime every year as part of ‘Cops Connecting with Kids’. Cedar Hall chose 16 students for a trip to the happiest place on Earth. One of those students is 12-year-old Madison Lambert. She’s the last one of her seven siblings to attend Cedar Hall, but she’s the first one lucky enough to go on this trip with EPD. Madison has had a tough year because her mother, Elizabeth Lambert, is battling breast cancer, but her teachers say she always shows up to school with a smile. As part of the surprise for these 16 students, their families greet them as their names are called. Madison’s mom came right from her radiation treatment Friday and says she wouldn’t have missed this moment for the world because of how hard her daughter has worked to get picked. “It’s a great, great thing. It made Madison want to work harder every year so she would get picked, and even if she didn’t get picked we told her, ‘hey we’ll find a way to get there, we’ll find a way to get there’, and those kids who did get it, they deserved it. So it proves that you deserve it, baby. She deserves it,” says Lambert. 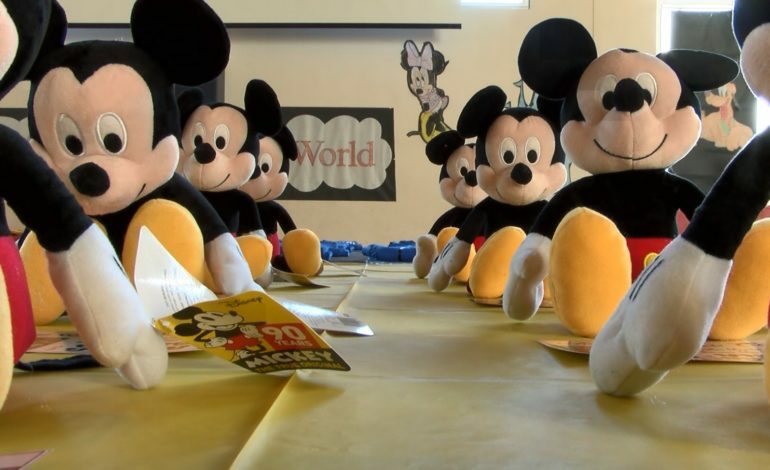 This Connecting with Cops trip is the first time the groups will be flying to Disney World, which is another first for Madison. But a trip to the happiest place on earth is just what Madison needs. This is also the first time the Henderson Police Department will be joining EPD and the kids on the trip. They are all taking off for Disney World on May 13th.